Armed policemen reportedly raided a house belonging to former Sports Cabinet Secretary Rashid Echesa and recovered a gun and rounds of ammunition. 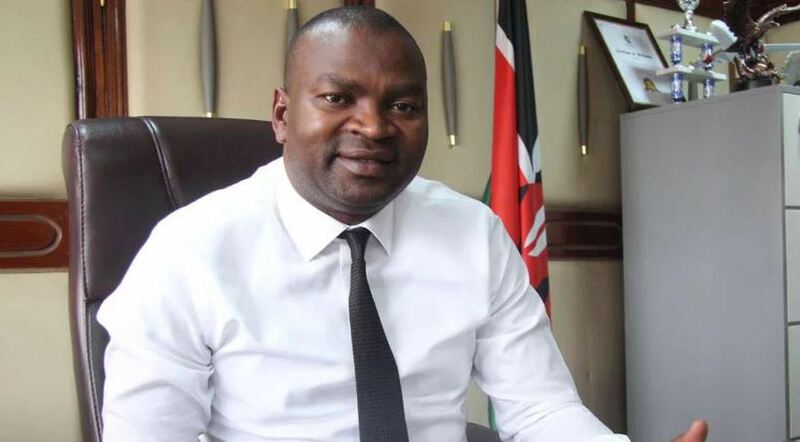 According to a report by The Star, the DCI sleuths from the Special Crime Prevention Unit raided Echesa’s residence in the upmarket Karen estate on Sunday night. A police report at Kilimani Police station, OB68/17/3/2009, indicates that the officers seized Echesa’s Beretta pistol and 15 bullets during the raid. The newspaper reports that Echesa initially denied that his house had been raided before calling back later and acknowledging that he had met with police officers who questioned him about the licensing of his gun. “What I know is that I met police officers who wanted to know whether my gun is licensed and I produced all documentation,” he told the publication. He also denied that the gun was taken away from him after the officers assessed his firearm licenses. Sources privy to the investigations told the newspaper that Special Crime Investigators had also asked the ex-CS to account for another 35 bullets which he is believed to have. His firearms certificate shows he is allowed to have 50 bullets. “We want to know where the other bullets are, now that police only recovered 15 from him,” said a senior officer speaking on condition of anonymity. The source said the handgun had been presented to DCI ballistics examiners for analysis. The gun license has also been surrendered to the Firearms Licensing Board that will make a determination.